Gunmen on Thursday night attacked a drinking joint and shot dead a young man simply identified as Gift, by the Iyara junction, off Cemetery road in Warri South Local Government Area of Delta State. 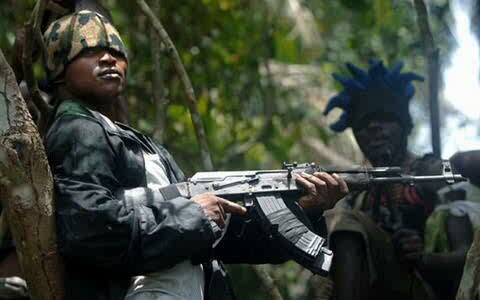 It was learnt that the gunmen robbed commercial shops from Sido junction before arriving at the drinking joint. Customers, who had gone to patronize the joint and other commercial shops around, ran away but the deceased came out with a bottle of alcohol in his hand, asking why they were running. It was in this process that the gunmen accosted him, Gift, and shot him at close range. The incident, DAILY POST learnt, caused serious tension in the area as the owner of the drinking joint and others scamped for safety. Meanwhile, the remains of the deceased have been deposited at the morgue in Warri.